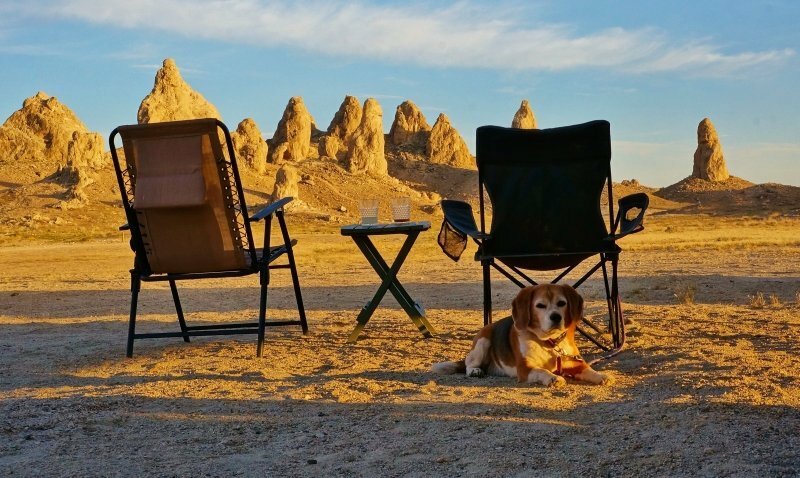 We were treated to many beautiful camp spots during this last snowbird season down in the desert. But, six of them really stand out for me in several ways. 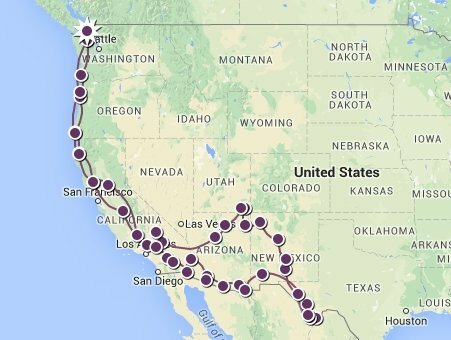 First they all were new to us having never visited the these spots in our past trips. 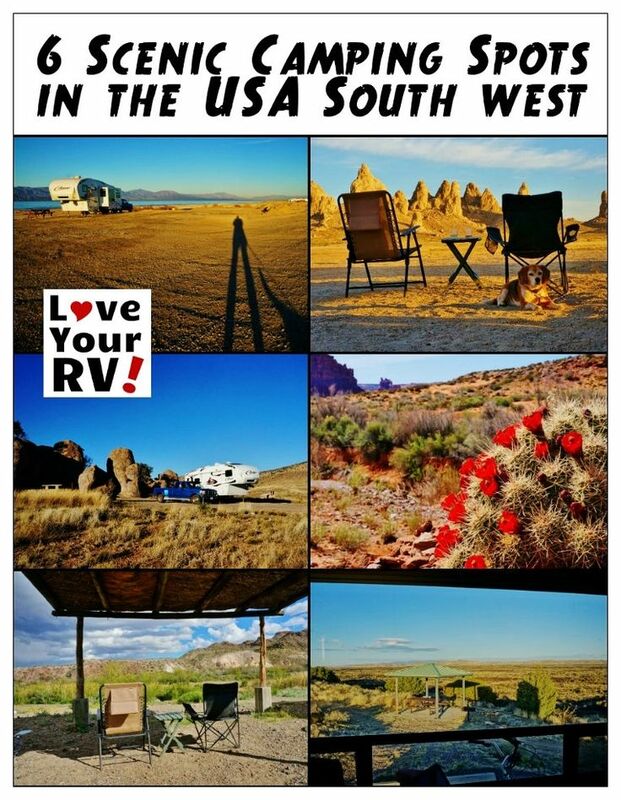 Second they offered gorgeous 360 degree views right from our RV. 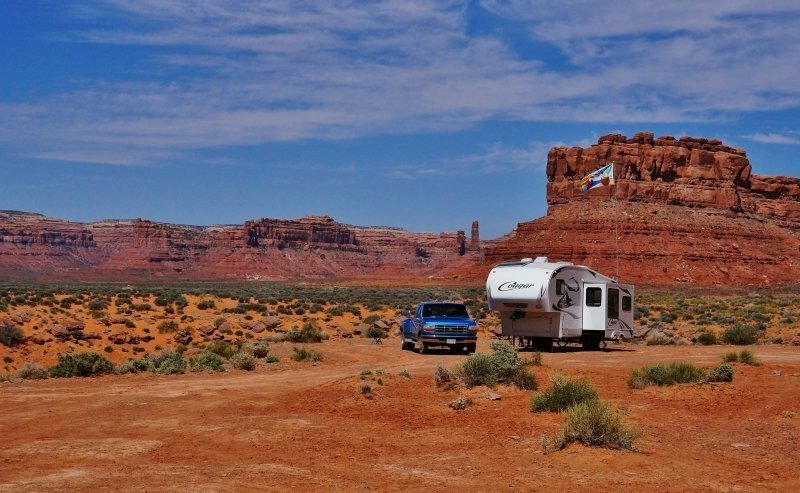 Thirdly they offered plenty of breathing room between other RVs and us. And finally mother nature was most kind to us at each one, offering up some awesome weather, spectacular sunsets, and interesting plants and wildlife for our viewing pleasure. 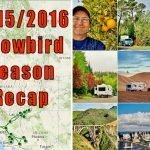 We spent 6 months camped in over 45 locations during our 2014/15 snowbird season but these are the 6 southwest desert campsites that were my favorites! 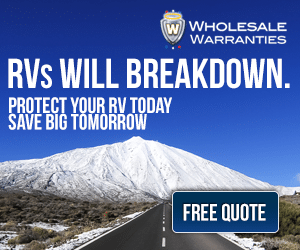 – Click any of the titles or Full Post for a link to a more in-depth information, additional photos and video highlights. 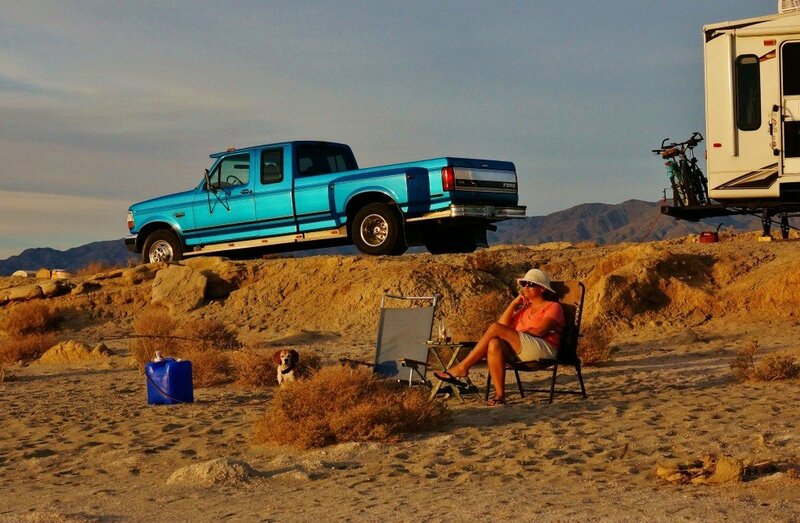 An ocean beach in the California desert. 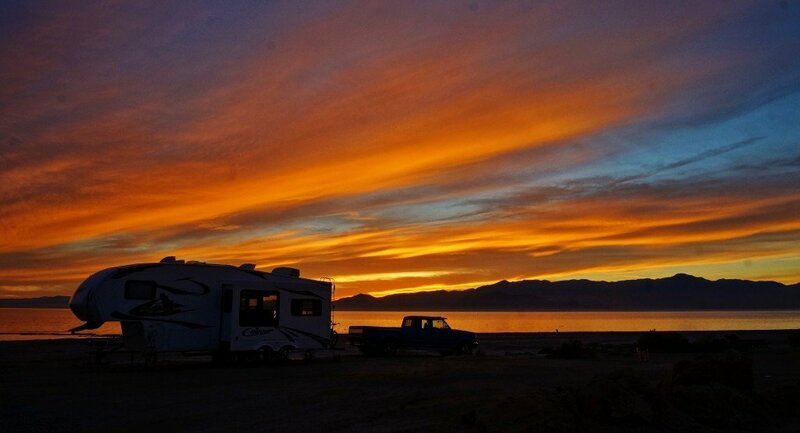 Salt Creek campground is part of the Salton Sea State Recreation area in California. The fee is 10 dollars per night and for that you get a picnic table, garbage cans, a couple vault style toilets and free use of the dump site down the road at the main headquarters. The best part of this site is the proximity to the water. 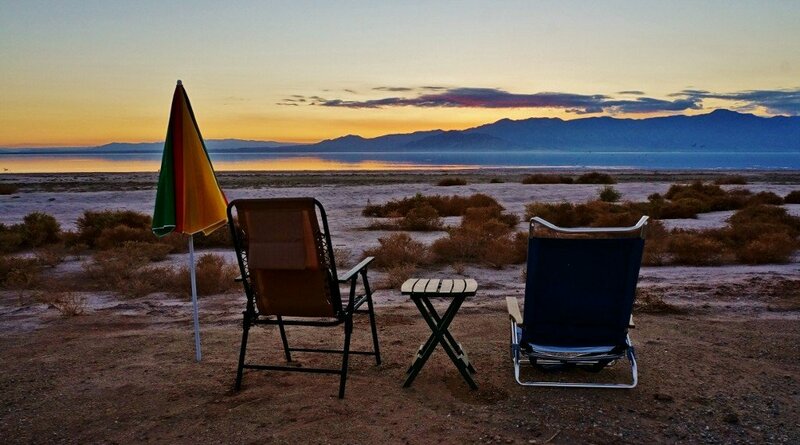 Pull your camp chairs out and enjoy the sunsets or bountiful marine bird life. One highlight for us visiting in late December were the flocks of migrating brown and white pelicans. 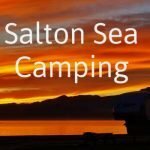 You may hear talk of the Salton Sea smelling bad and during some parts of the year it’s true, but during the winter months it is usually pretty good. Kind of smells like the ocean back home to us. 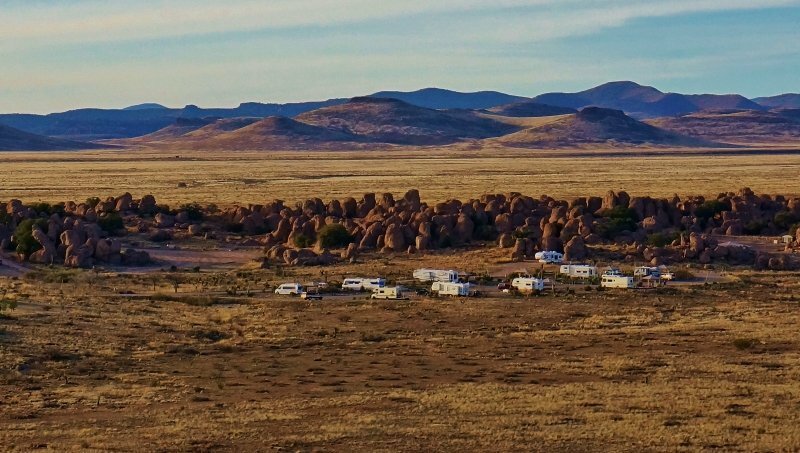 Unique campsite among huge volcanic boulders. 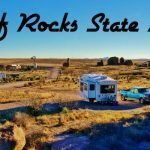 This is a very interesting little New Mexico State Park down in the south east corner of the state. By dry camping we paid a lower fee of $10 per night and were able to setup in a roomy spot right up against the giant rocks with some great views. When not hanging in the campsite enjoying the views we had fun exploring in the rocks and hiking the surrounding high desert terrain. 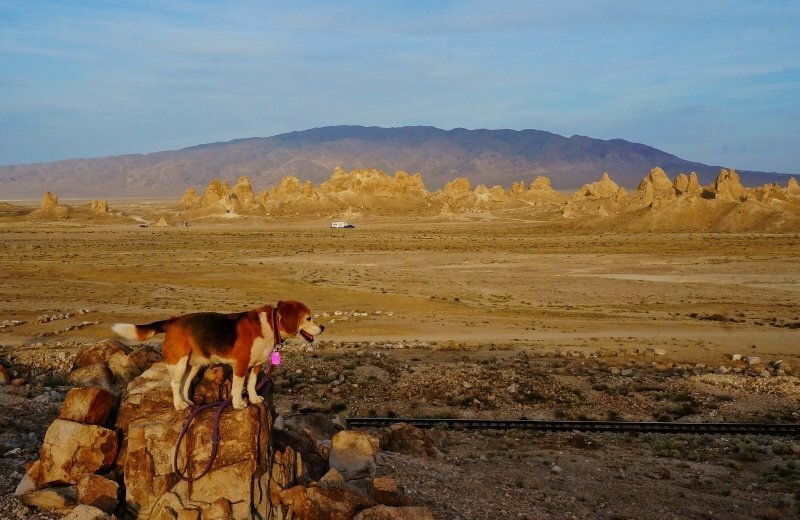 A great hike with a chance for a beautiful panoramic shot is up to a nearby viewpoint where yo can see for 50-100 miles in all directions. 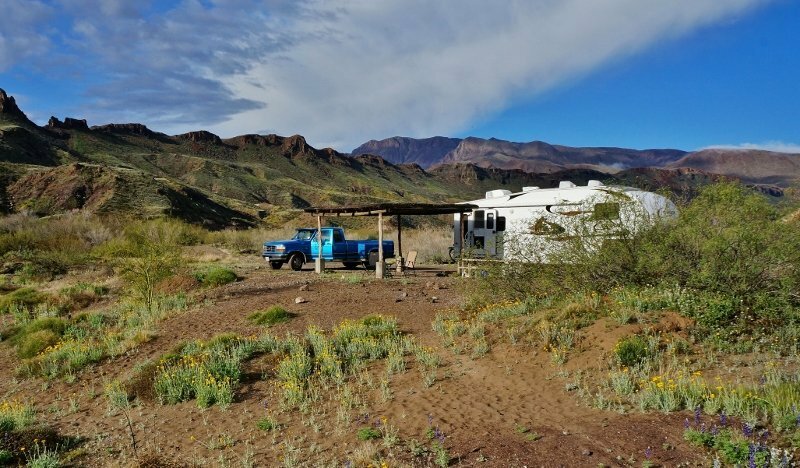 Camping off the beaten path along the Rio Grande. 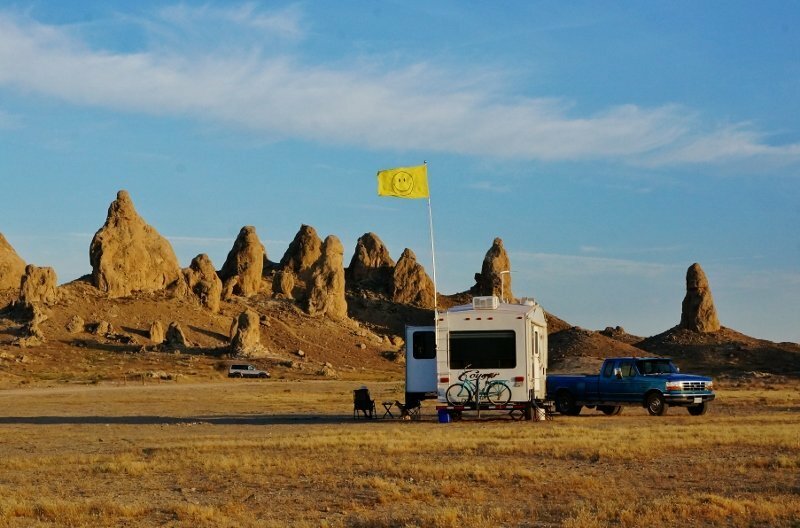 The Grassy Banks campground was $18 a night and no hookups but worth every dollar spent. 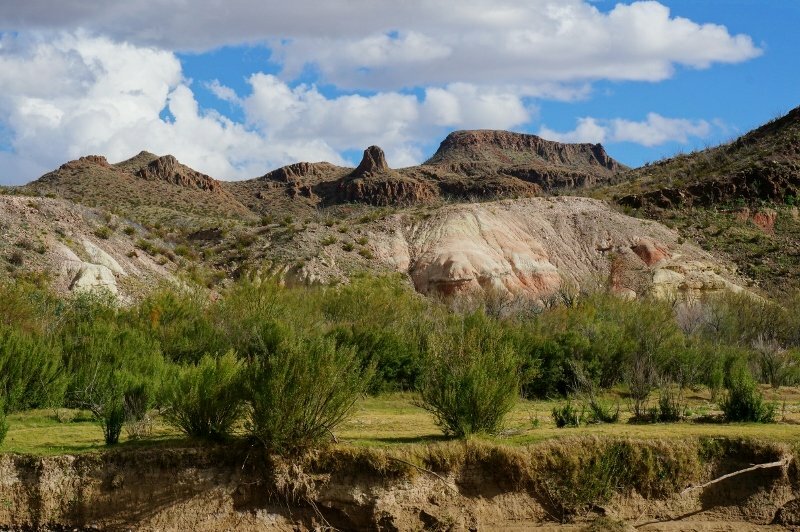 This remote area of west Texas has some of it’s best scenery. 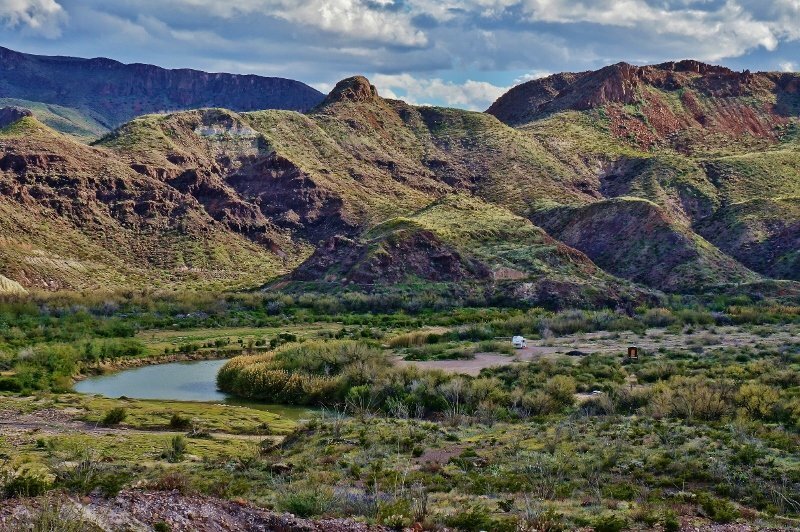 The Rio Grande is the international border between the US and Mexico and here it winds it’s way through a rugged, mountainous section of country. 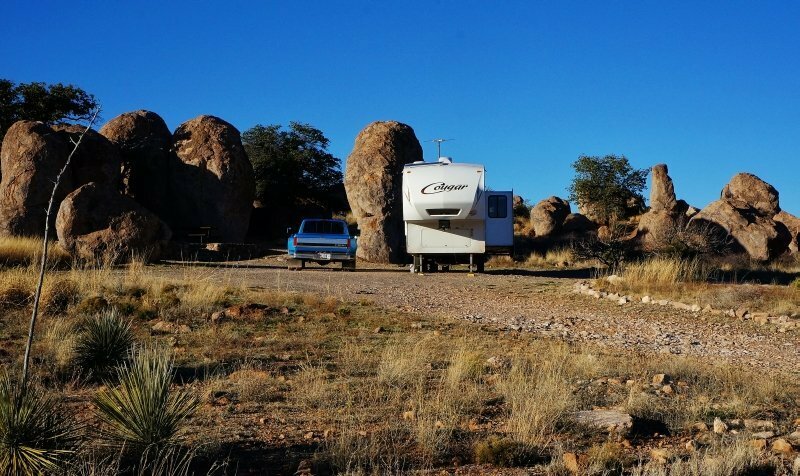 The campsite is very close to the river where a diverse amount of plant life occurs in an otherwise dry and barren landscape. Hiking up on the nearby hills gave us awesome fodder for landscape photography, especially since we hit a perfect time, the spring flower bloom was in full force. Lucky for us it was an very good year for the blooms. Ever camped in a lava field? 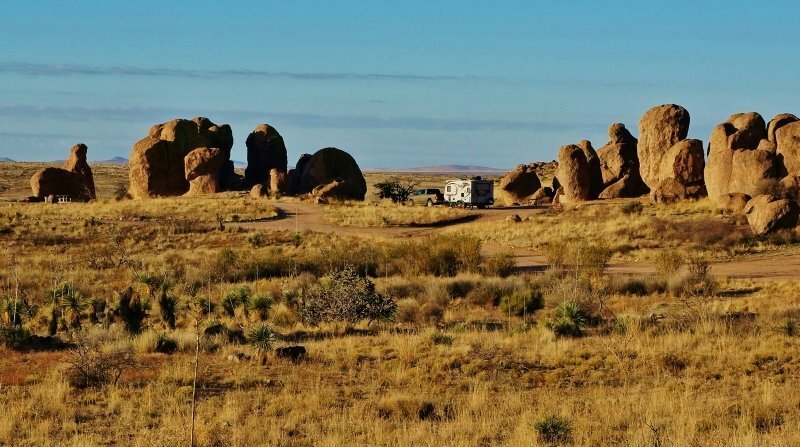 While traveling through south central New Mexico we came across a campground perched in a bizarre blacken earth landscape dotted with green. We had to stop and take a much closer look. 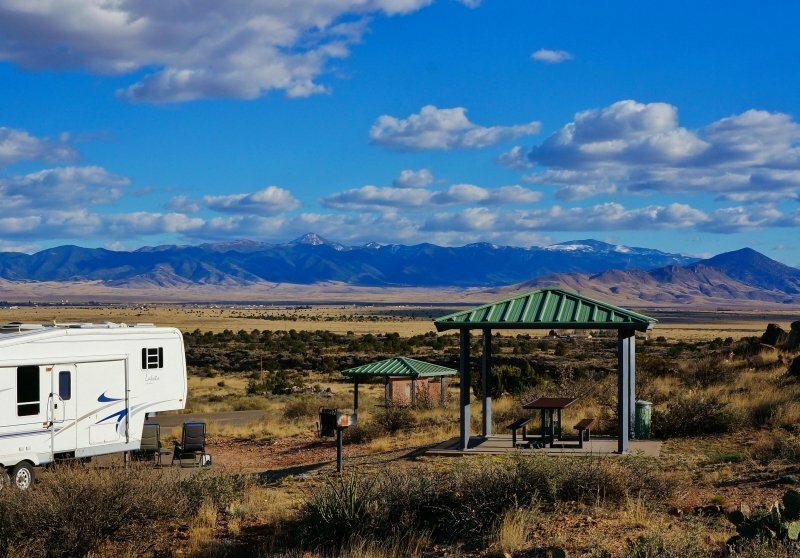 The campground is run by the BLM but unlike most primitive BLM camp areas this one comes with paved RV pads, water and electric all for the modest fee of $18 a night. 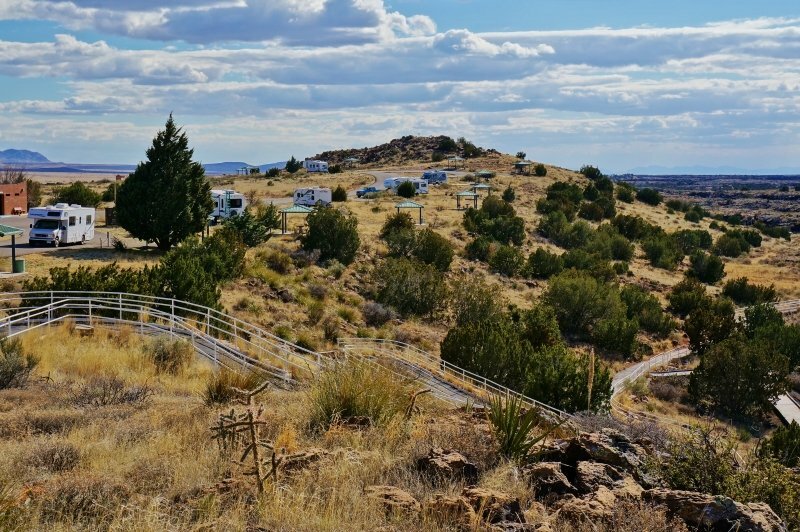 The views go on for many miles on all directions, especially up on the little lookout knoll situated right in the campground. 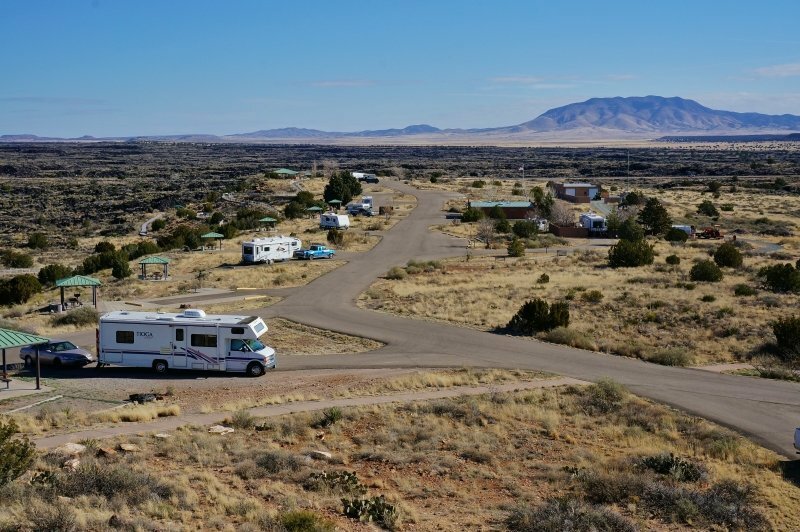 Even though this was the most crowded of my 6 scenic southwest desert campsites, it didn’t really seem like it. 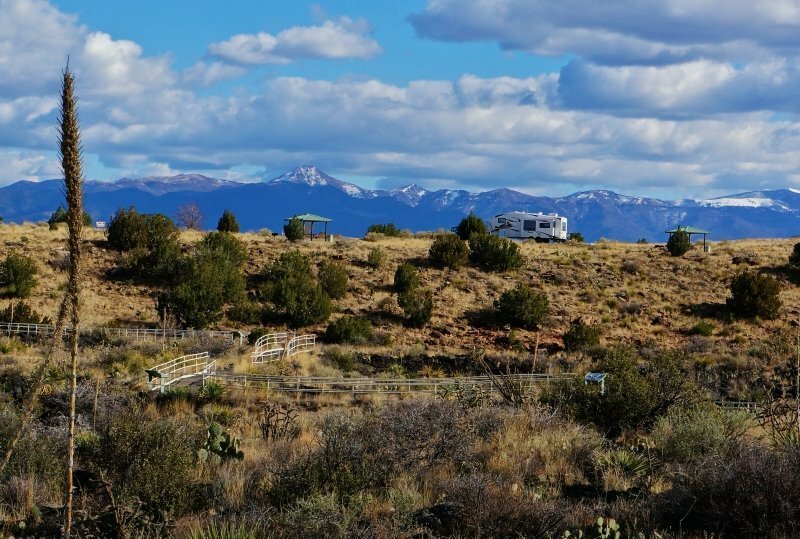 The sites are spaced well apart and each site has it’s own uncluttered views. 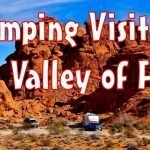 Fantastic off the grid red rock desert camping. This was probably my favorite spot of the whole season. 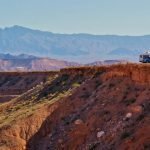 It’s a little bit of a rough ride getting the rig to the very primitive camp areas, not everyone’s cup of tea. But WOW! the reward, postcard western movie scenery to soak in. 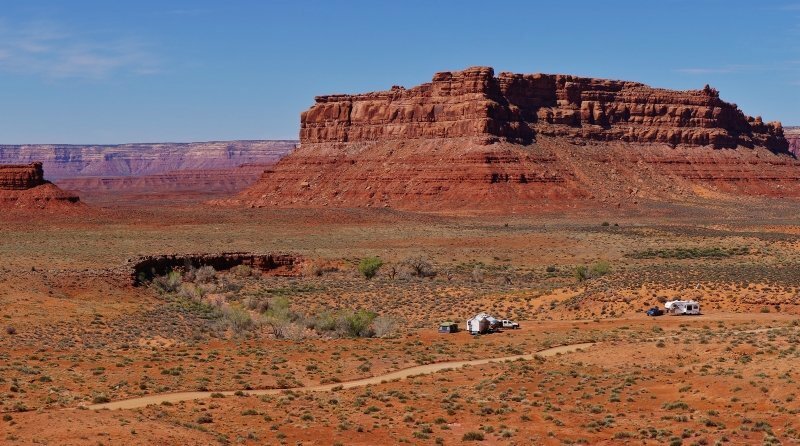 This is a free to camp on BLM area in southern Utah not far from the famous Monument Valley. 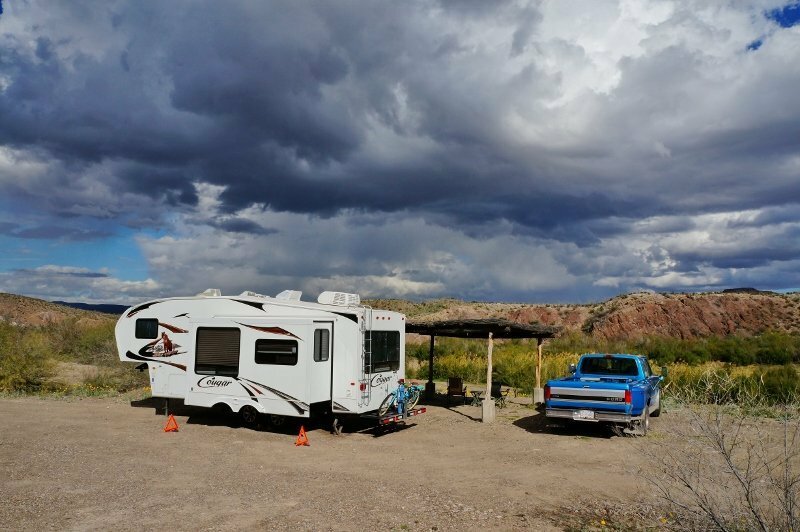 The terrain is full of washes and small canyons that flood in the rainy times so here and there are clumps of fairly large cottonwood trees. 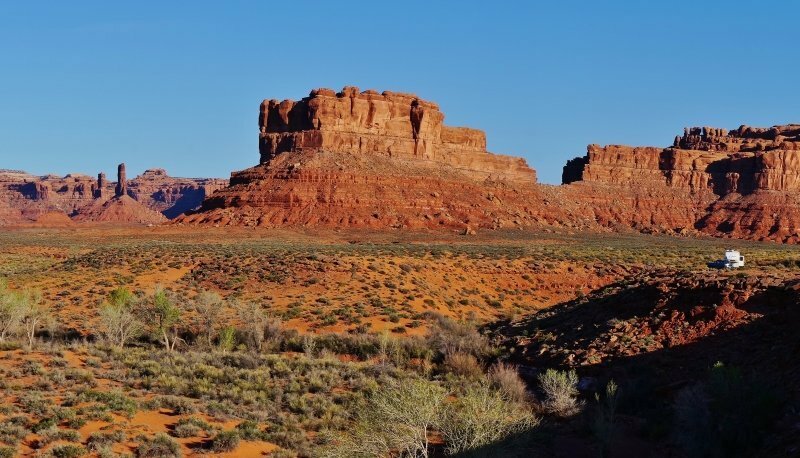 The shady, damp washes also support a fair amount of wild critters like rabbits, deer, snakes, lizards, chipmunks, desert mice and even cows from a close-by ranch. We spent most days here hiking, photography and just hanging out marveling at the impressive back drop we had. 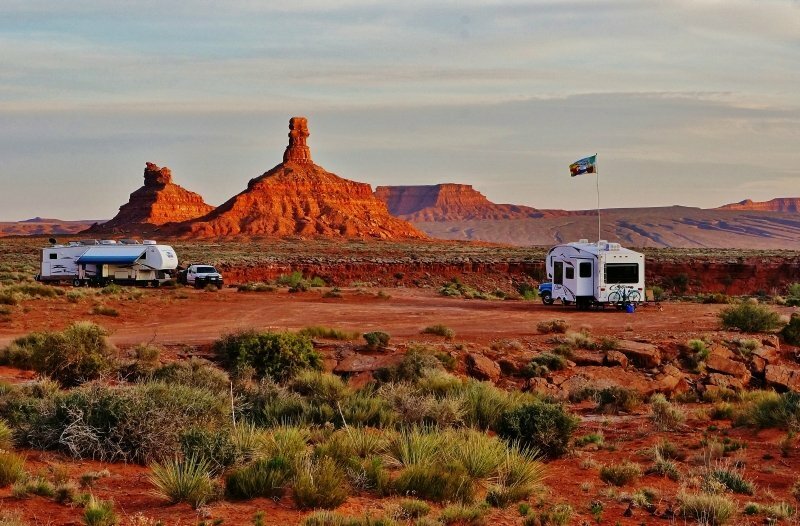 Want to camp on an alien planet? 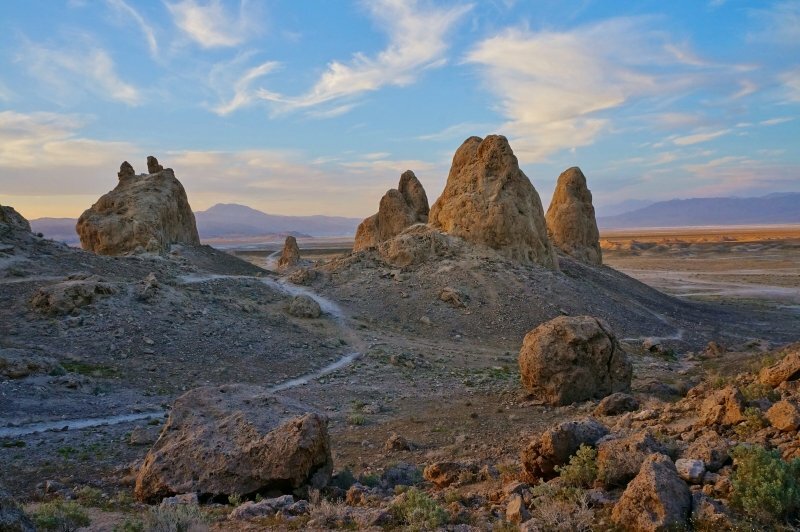 Well this sparse desert BLM area located on the Eastern side of the Sierra Nevada mountains in California is just the ticket. It actually can get kind of spooky at night, look out for green lizard monsters with light sabres. 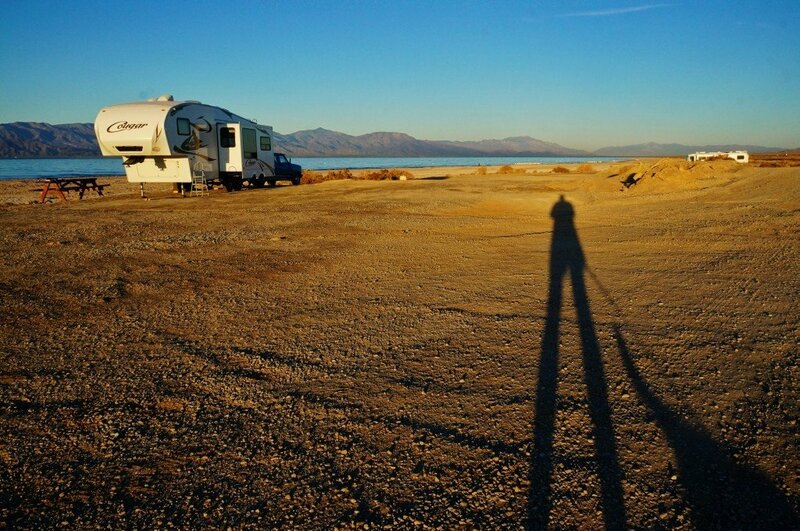 We spent several days here to wrap up our desert adventures for this season. The road in is about 5 miles of gravel and old pavement with occasional washboard, but quite flat. 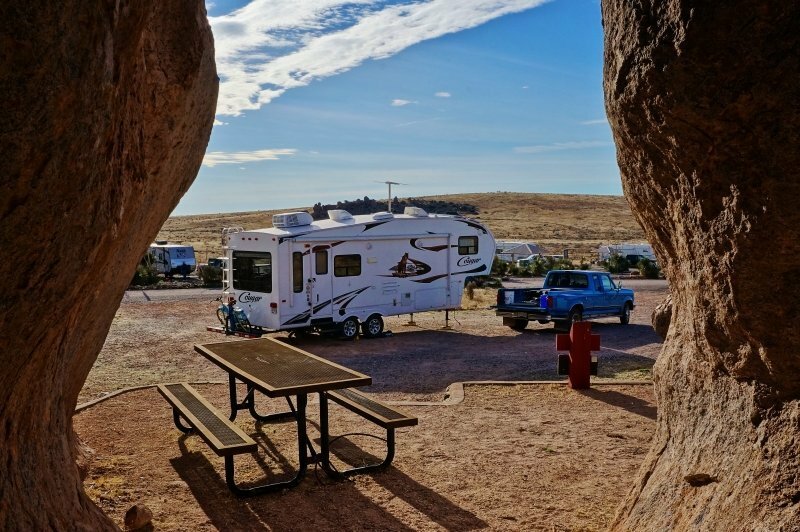 Camping is free and very primitive with a vault toilet being the only amenity. We did get 4 bars of Verizon cell service though. So even though you felt like you were a millions miles from earth, you can still twit and faceybook to your hearts content. Well looking back, what a fun trip we had this year down south. 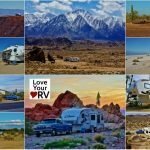 I can hardly wait to repeat our southern winter journeys next year and discover some new amazing camp areas to explore. 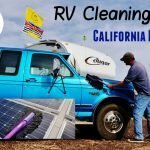 If your interested in how we manage things RVing off the grid so much check out my Love Your RV! 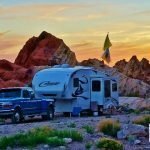 boondocking category.